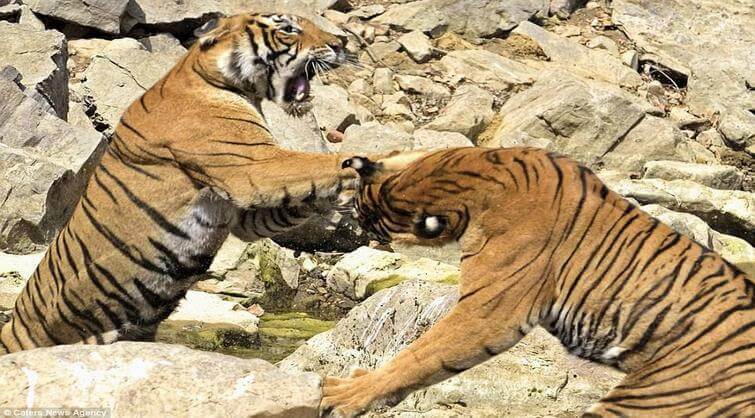 In what is believed to be a rare occasion, a fight sparked between two female tigers in Ranthambore National Park over the claim of a waterhole. 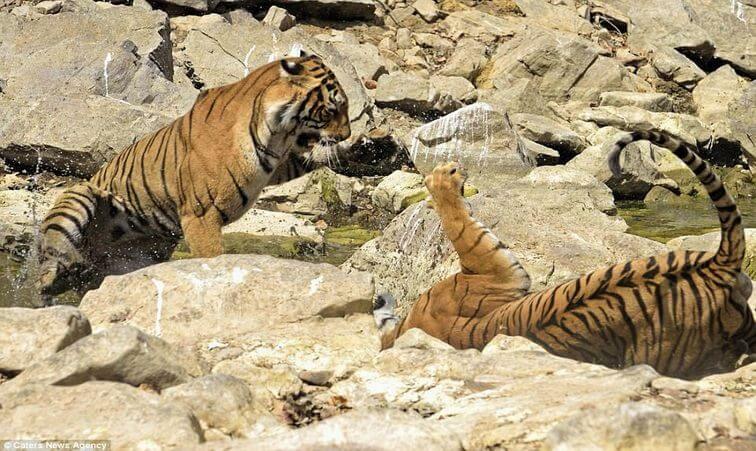 The scuffle between the two tigers was captured by a wildlife photographer, Aditya Singh. According to him, the fight broke out between the two adult females who reached the waterhole with their cubs coincidentally at the same time. Their cubs went into the hiding while the two mothers attacked each other. 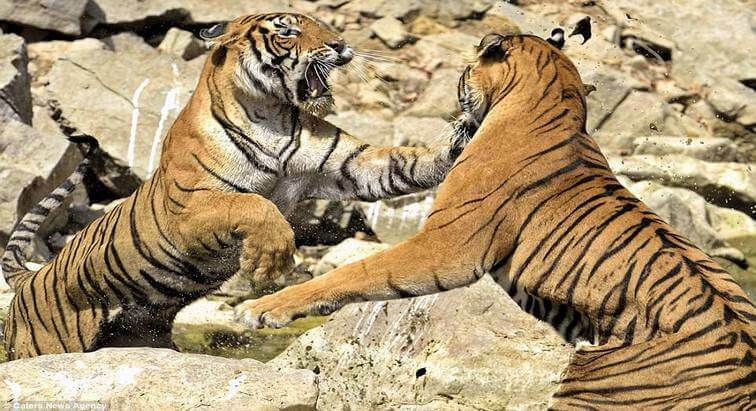 However, the brawl is said to lasted only for few seconds as one of the tigers received a blow on the face and was made to leave. 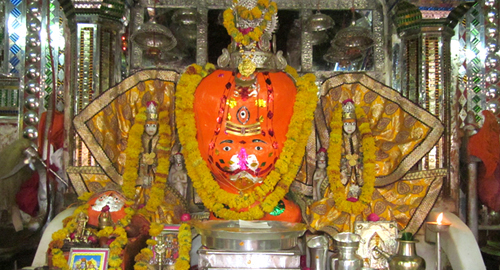 Ranthambore National Park in Sawai Madhopur District of Rajasthan and is known for its tiger sighting opportunity. 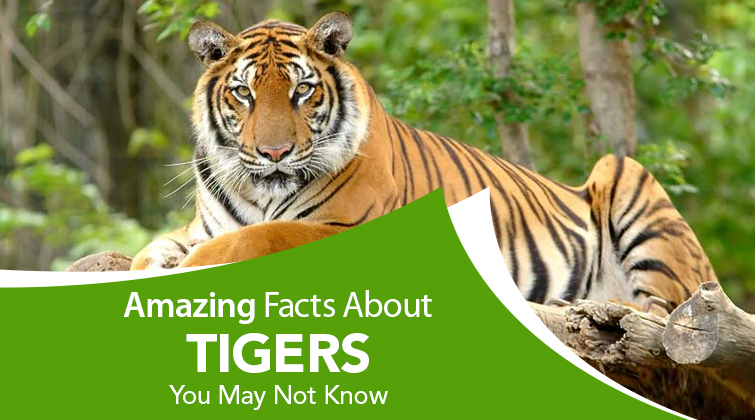 It is one of the largest national parks in India and was created in the 70s after a series of attacks on local villagers by tiger. 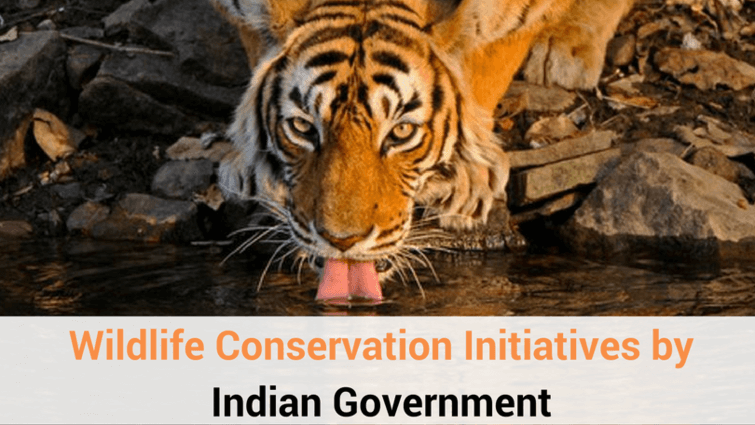 There are about 60+ tigers in this national park which faces water shortage in the months of April, May and June. 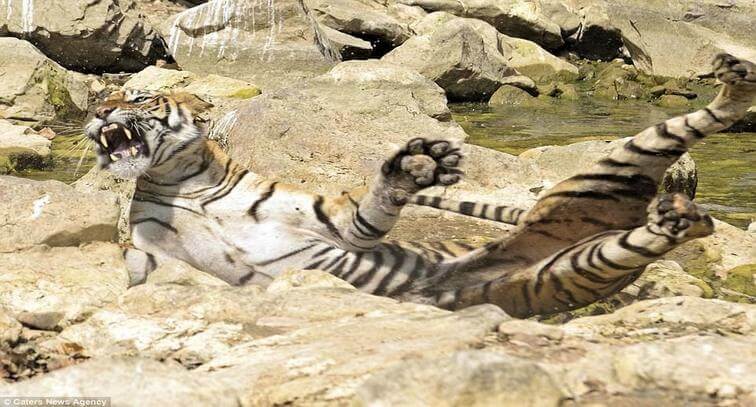 According to Aditya Singh, the photographer who could manage to capture this rare event, there is a set of waterholes on the border of the territories of two female tigers who have three cubs each. 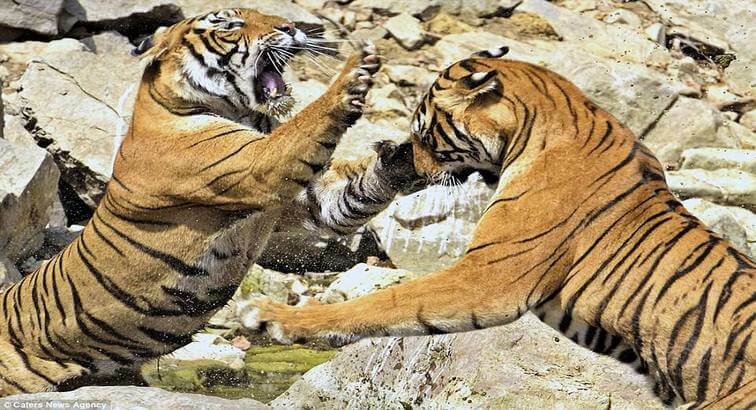 This picture by Photographer Aditya Singh captures the moment when the female tiger on the left slapped her rival on the outskirts of Ranthambhore National Park. 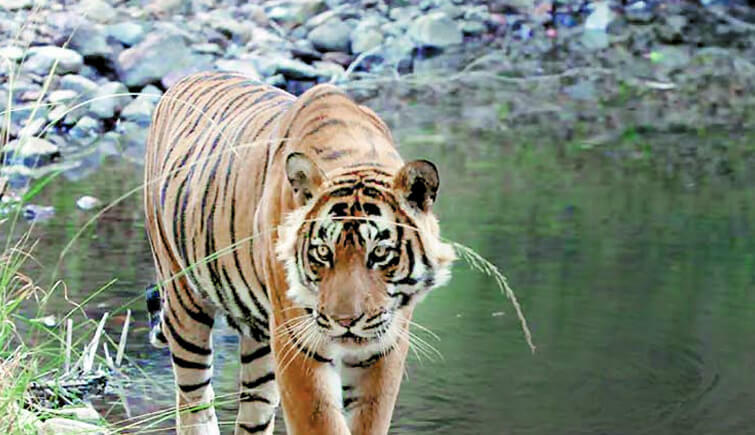 The two tigers were accompanied by three cubs each. 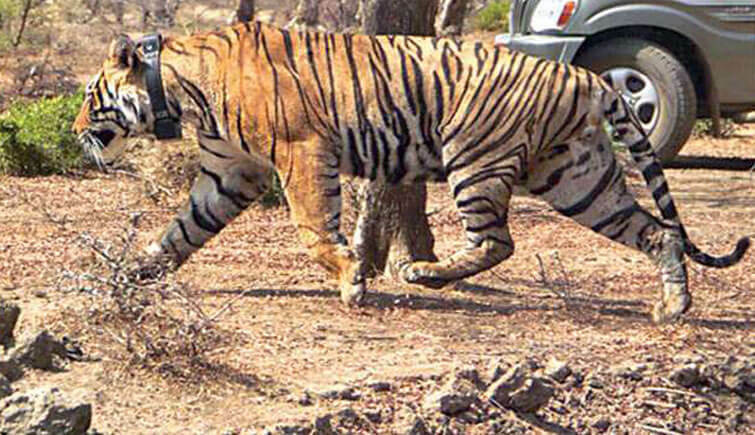 This particular hole is on the border of territories controlled by both the female tigers. 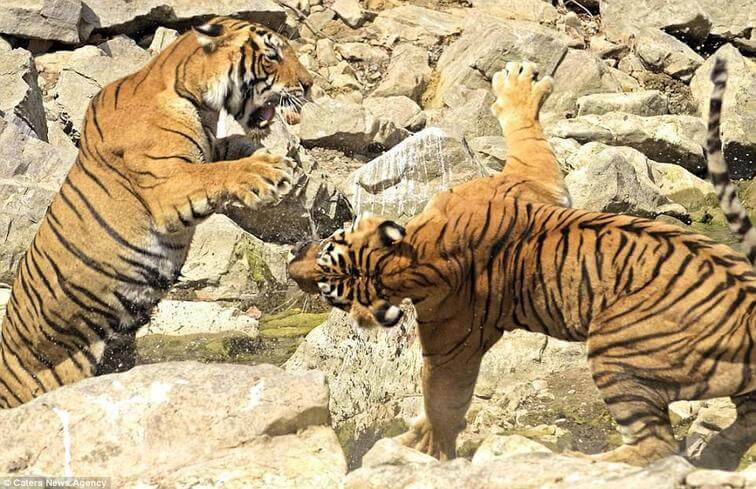 Both the tigers bare their teeth at each other and the brawl began, however, it lasted only few seconds before one of the rivals decided to retreat. 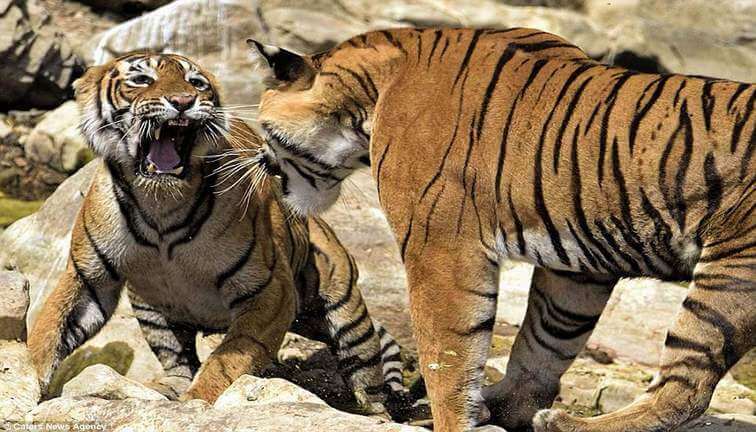 Since the two female tigers share the same waterhole on the boundaries of the territory and water shortage is a main concern in the park especially when there are litters to take care of, fights like these are inevitable. 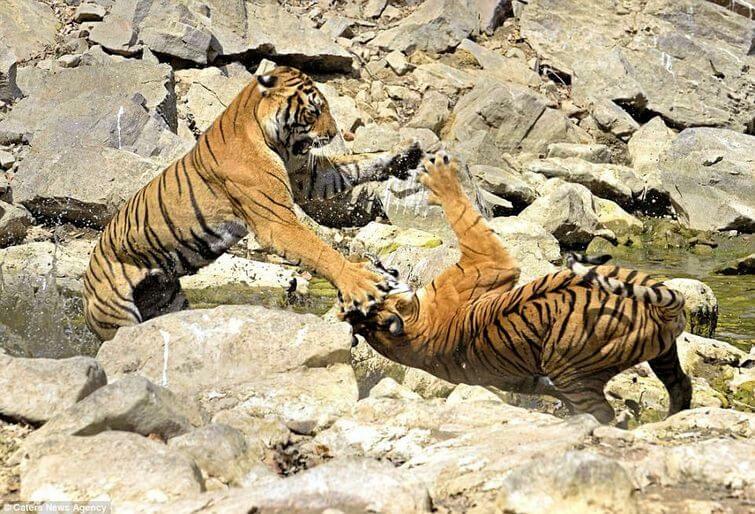 In this picture, Ms Singh captured the moment when the tiger on the left gave the other one a powerful swipe on one side of the face, compelling her to give up. 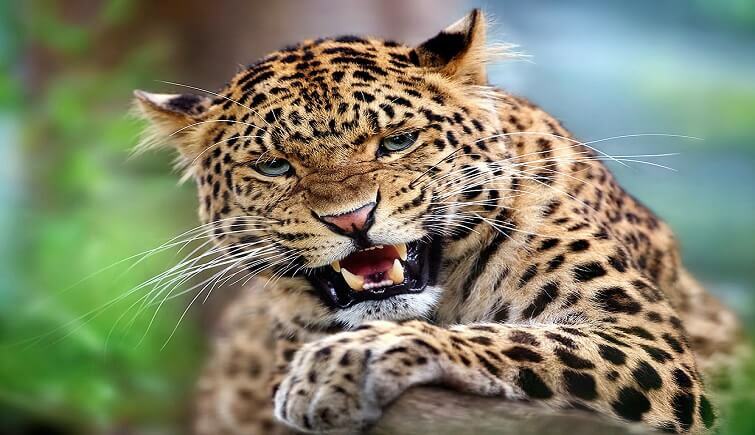 It is apparent, tigers, like all other cats, are strongly territorial animals and are often seen in major and minor fights for their area. The two tigers have three cubs each which cannot hunt for the first 18 months of life, and thus are completely dependent on their mothers. The litters of the tiger stay with their mothers up to three years, who along take care of them and teach them how to hunt. Even though the fight lasted only a few seconds, according to Ms Singh it was indeed a great display of strength and power. In the end, the defeated female only bared her teeth but decided not to resume the scuffle and left high and dry with her three cubs.